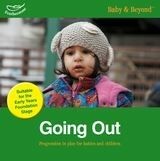 The Baby & Beyond series takes simple activities or resources and shows how they can be used with children at each of the EYFS development stages, from birth to 60+ months. Each easy-to-read double page spread covers one activity, so you can see progression at a glance. All titles shown have been updated to match the new framework. Mark Making: Progression in Play for Babies and Children gives ideas for introducing and extending mark making activities and experiences for babies and young children. 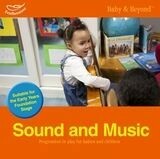 This book gives ideas for introducing and extending experiences of sound and music for babies and young children. Each page spread contains a range of experiences and a selection of ideas ffor each of the six stages in Development Matters (Revised EYFS 2012). Making dens and shelters is a favourite childhood activity and has always been so. 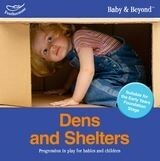 Dens and shelters provides a wealth of den making ideas which involve children in active learning and creative thinking. Each activity gives suggestions on how the activity can be set up to suit the different development stages of the children in your care. Tell Me a Story helps practitioners to build progression into a favourite part of the day for all children. Each page features 'activity boxes' labelled for each age group showing how each area can be approached by children at different stages of development. The format makes it easy to select the level of activity appropriate for each child making these books ideal for groups of mixed ages. stages of the Early Years Foundation Stage. The control of large and fine muscles and the ability to feel, copy and continue a steady beat are all essential for learning, and particularly for learning to read. 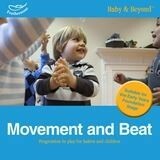 Baby and Beyond Movement and Beat gives practitioners ideas for supporting the progression of these vital skills at all ages of development. Each page has a series of 'activity boxes' that are labelled for each age group showing how each area can be approached by children at different stages of development. The format makes it easy to select the level of activity appropriate for each child making these books ideal for groups of mixed ages. Finger play and rhymes are essential elements in all early years settings. They support the development of communication and language, reinforce a sense of rhythm and beat and encourage the use of hands and feet in clapping, stamping, wiggling, tapping and simple counting. This series presents favourite early years activities in progressions suitable for the developmental stages from babyhood to 60+ months. Designed to help ensure progression through the Early Years Foundation Stage.